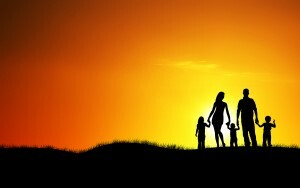 My firm provides all aspects of help for those facing family law matters. My team is committed to providing outstanding personal service to each client. I understand your need for a committed attorney. Every divorce or family legal matter is unique. We provide personalized attention throughout each case. Both Debbie and I meet with each client from the initial consultation through the final resolution of the case. My team approach benefits each client as both Debbie and I become familiar with each and every aspect of your case. Our clients have both a male and female perspective on all issues. This team approach saves our clients thousands of dollars in counsel fees. While divorce is unfortunate, it can be an opportunity to change your life for the better and if you have children, to help them have a happier, healthier relationship with both parents. We help our clients through this most difficult time in their lives and know how important and traumatic these matters can be. We make every attempt to settle each case out of court. If court intervention is necessary, Mr. Roberts personally appears at each Court date and litigates aggressively to obtain the best possible result.